Mon Ami Gabi is a classic French bistro, and one taste of its exquisite food will transport you to a charming eatery in the heart of France. 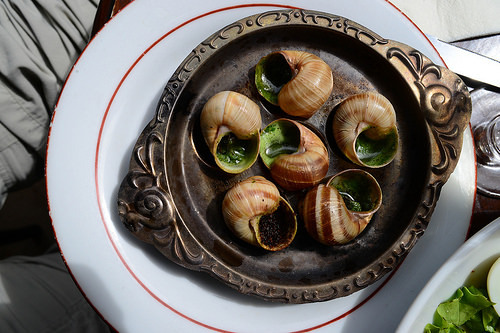 Enjoy traditional French cuisine like steak frites, escargot, and beef bourguignon prepared using tried-and-true ingredients and methods. The onion soup gratin with bubbling Gruyere cheese is an absolute must, as are the buttery desserts. Mon Ami Gabi also serves a memorable brunch every weekend, a classy happy hour on the weekdays, and a variety of seasonal events and classes to give you yet another reason to indulge in their decadent food. You can even get the full Mon Ami Gabi experience when you’re short on time with their express lunch menu on weekdays. For one flat price, enjoy a three-course meal perfect for a client lunch or a little way to treat yourself.